You are doing a brilliant job. Thanks for all your tuts. Keep working towards your goal. 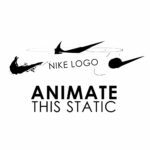 Lets us know if you can teach us complete character rigging with rotation in after effects. Is it possible?